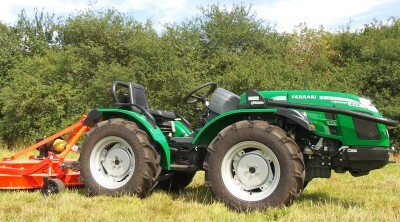 The Quad Tractor 30 & 40 Cromo models, have all of the features of the Quad 20, but with more power weight and traction. These 26hp and 36hp tractors have four wheel steering just as the 20, but have more gears and other features for those users who require a little more power and capability from their Quad Tractor. These tractors are built for us by Ferrari in Italy and offer more standard features and sophistication. Prices are similar to the Goldoni two wheel steering models and conventional steering models are also available in the Ferrari range . 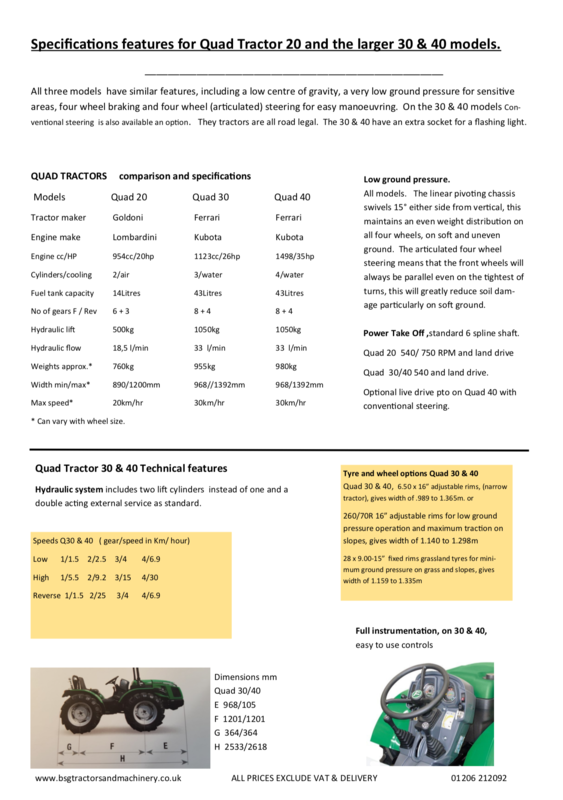 See the specification sheet for conventional steer (RS) and four wheel steer (AR) Quad Tractors.